"Roy and Luke Jettens fished Alberts Lake from 04/10/14 to 09/10/14.The week started with a fair bit of rain bringing the water temperature down slightly. They had 22 carp between them with 4 carp over 30lb. 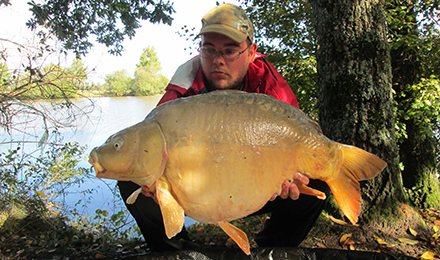 Roy`s biggest of the week was 34lb and Luke`s was 32lb. Phil and Sue Parker fished Alberts Lake from 04/10/14 to 11/10/14. It started off slowly for them and picked up towards the end of the week after a rainy start.They caught 6 over 30lb and 2 over 40lb,the biggest weighing in at 44lb with only 4 lost." "Ricky Mountain and Howard Reeve fished Busters Lake from 04/10/14 to 11/10/14. Despite a fair bit of rain at the start of the week they caught 58 carp between them.Ricky had 7 over 30lb and Howard caught 11 over 30lb ,including a nice common of 32.3lb. 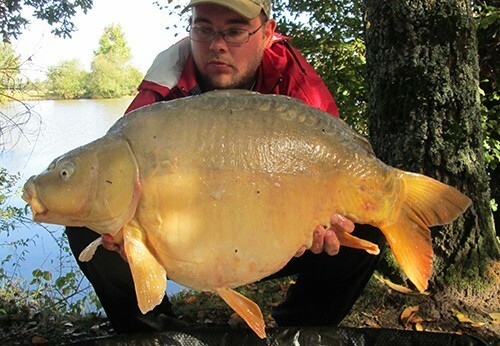 The 2 biggest carp were 39.7lb and 39.8lb."